Toraja is located in Sulawesi Island, Indonesia. This is home to one of the most unique cultures you will have ever found. This is where you can witness the living and the dead in the same space. Aside from thrilling and intriguing, Toraja has its own attractiveness which makes it hard not to pay a visit. It is located in the high mountain of the island which just adds the thrill. However, this place is absolutely safe for visitor either domestic or international travellers. it is just their culture which sends a spark of thrill that sometimes impressive and scary at the same time. So why should you visit Toraja? There are many interesting things about Toraja started from the scenic look-put point to the unique cultures. 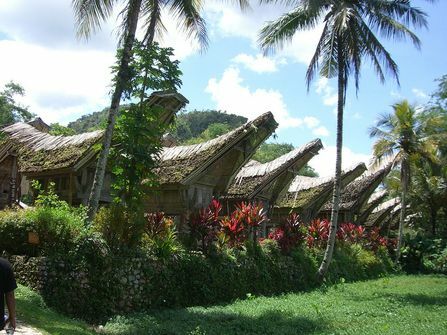 Spending a few days in Toraja will make you be able to learn more about the unique culture. The location of Toraja is in the highland of South Sulawesi, Indonesia. This make Toraja people is quite isolated from other cultural ferments. However, this place is accessible that you don’t have to worry about how to get there. It takes 8 to 10 hours of ride by bus to arrive at the location. The nearer you get to the location, the cooler the weather. There are many lookout points in the highland you can visit once you arrive at the location. The Toraja keep their traditional belief named Aluk Tadolo which means the way of the ancestors. Thus, the culture remains the same up till now. Toraja people have their own social and spiritual ladders. Social ladders consist of different class system from royalty to servant. Spiritual ladders consist of three different levels. They are mortal life, the afterlife, and heaven. They believe that heaven. You will be intrigued by the local’s original lifestyle. One of the most prominent is the shape of their house. Their house has curve-roof which is iconic that you can only explain when you see it. Their house faces north. Another unique point of Torajan culture is about the water buffalo. Those are not used for working but for sacrifice. The number of the water buffalo that should be sacrificed depend on your status in society. The higher your status, the higher the number of buffalo you should sacrifice. Class distinction is still applied even for the dead. There is cemetery cave in Toraja which is called as Tampang Allo. For nobles, they will be placed in a boat-shaped coffin to show their status. There is also a resting place located in Lemo that can be used for all classes. Torajans prefer to be entombed in rock instead of burial in the ground. The dead will be placed in hand-carved crypts on the cliff with opening. It provides small space which can fit five coffins.